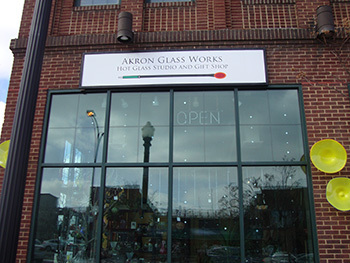 With the cold weather seeming to never end, Akron Glass Works invites all to join them for demos, workshops and shopping in their bright and warm studio. The studio makes it easy to forget about the winter blues with the combinations of beautiful handmade glass and live plants. 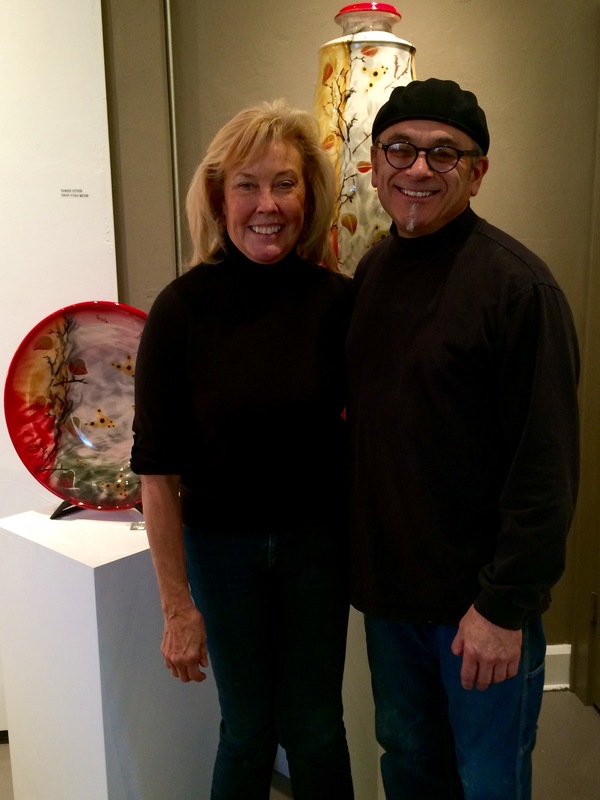 Jack Baker, owner of Akron Glass Works and one of the artists, was inspired by a trip he took with the Akron Art Museum to Seattle. He took glassblowing classes in Kent, but soon decided he needed to open his own studio if he wanted to succeed as a glassblower. 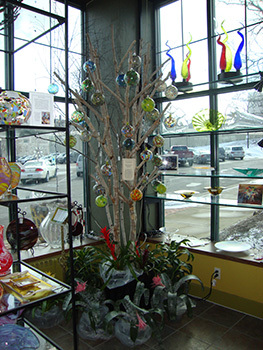 In 2006, Jack made the decision to expand his Architectural Greenery space to make room for a glassblowing studio. He combined his two passions into a creative and unique space that has a little something for everyone. Each weekend the studio offers classes where community members can come and try glass blowing for themselves. Class sizes are limited to five people per class, but there are two sessions per weekend. “A lot of people end up loving the class and come back. They bring their friends back too, which helps the word get out about our studio,” said Sandy Holata, a glass fuse artist at the studio. In February, the workshops made paperweight hearts to go along with the Valentine’s Day theme of the month. Glass Fusing classes are also offered in the evenings. The days vary between Wednesdays and Fridays depending on scheduling. This past month the glass fusing class had a date night where participants sampled wine and cheese while working on their homemade glass valentines. Future workshops will be making birds for the springtime and flowers for Mother’s Day. 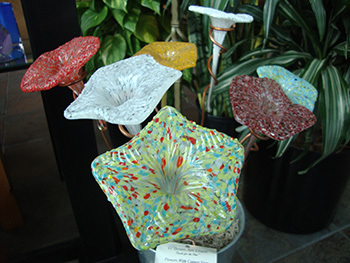 The gift shop has a combination of all the glasswork that is created in the studio. The pieces make unique and beautiful gifts for the holidays or any special occasion. “People really appreciate buying unique and locally handmade gifts for the holidays,” said Sandy. The studio is expanding not in size of space, but in knowledge and local support. This past year there were about 600 community members who participated in the weekend glassblowing workshops and 100 who took part in the glass fusing work shops. There are community members who come into the studio to watch a demo and stay until the piece is complete and then end up wanting to buy it from the artist. “It’s unique when someone can say they watched an art piece being made and then be able to purchase it. 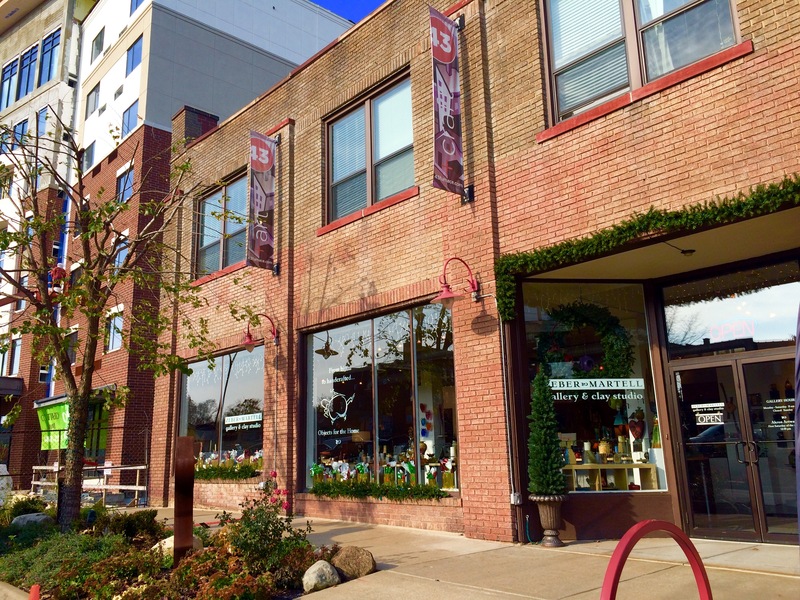 It is good for our artists and cool for the buyer to have such an experience,” said Sandy. 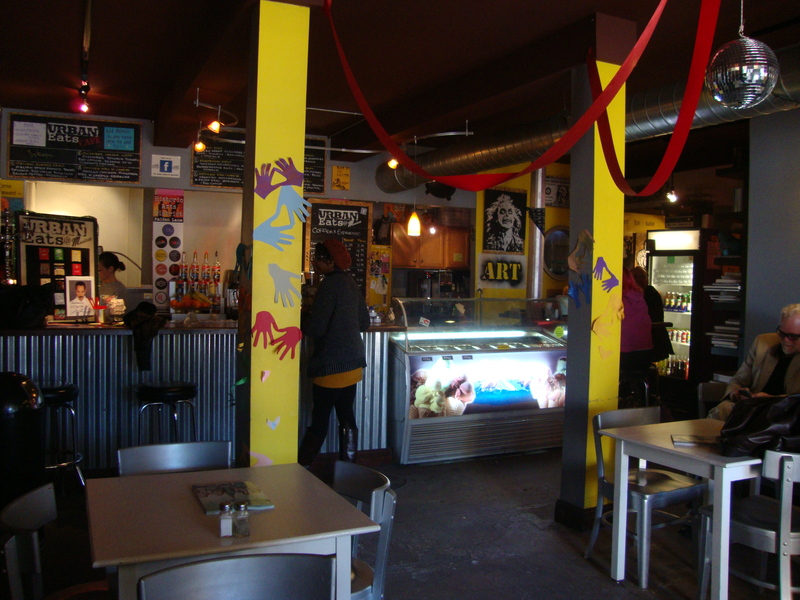 The artists love being in the Northside. 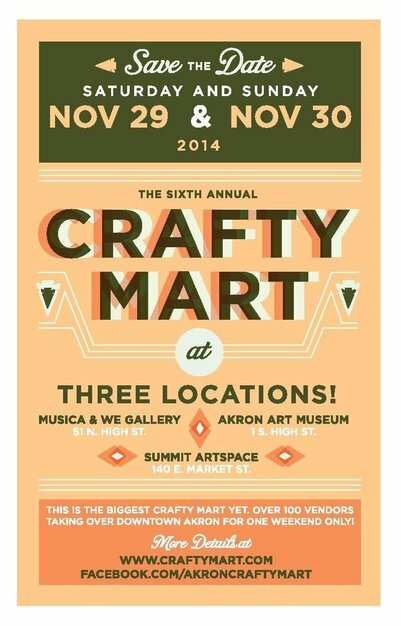 They are close to the Akron Art Museum and other galleries as well. They often times see people who are waiting in line at Luigi’s and stop in saying they never knew the studio existed. The artists are also very excited about the opening of Jilly’s Music Room. 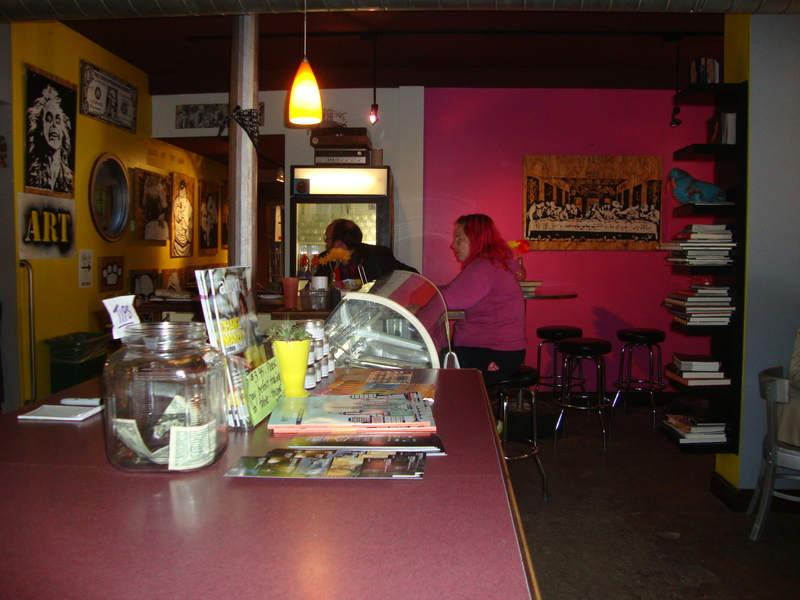 Now that the studio is open on Saturday evenings again they are hoping the crowd of Jilly’s will bring more people into the studio as well. 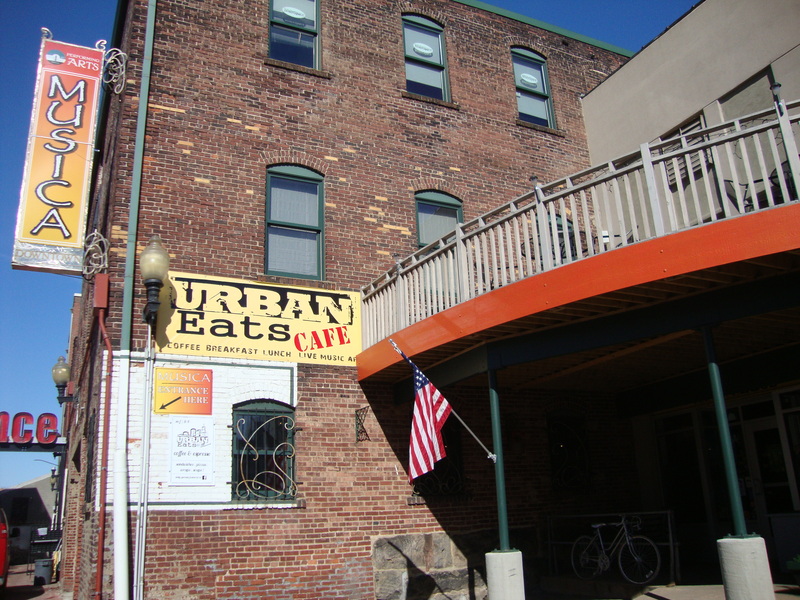 Akron Glass Works is a great place to explore any day of the week. 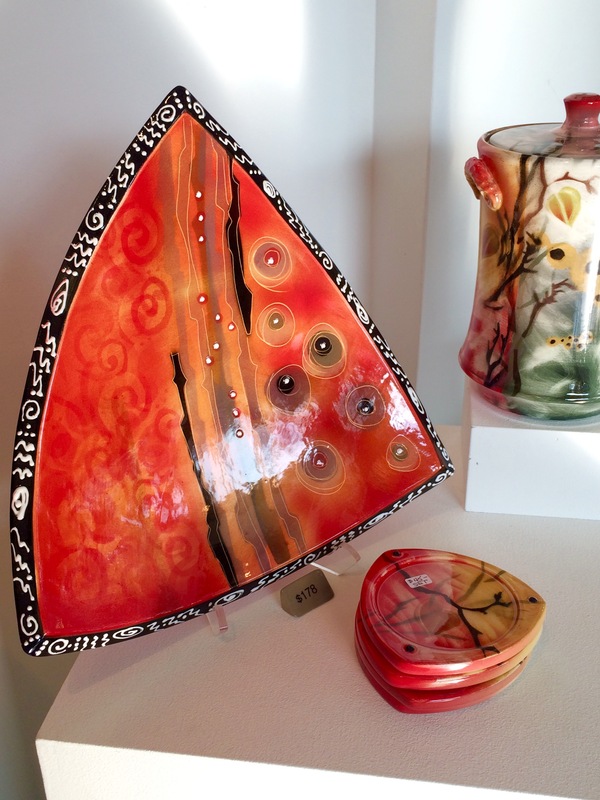 Whether you would like to try glass blowing or fusing for yourself or you just want to check out the gift shop, it is not a place to miss. The art will blow you away with its details and time it took to create such unique pieces.